In January I provided a lengthy overview of the Sunni insurgent groups currently operating in Iraq. What dynamics have changed since then? 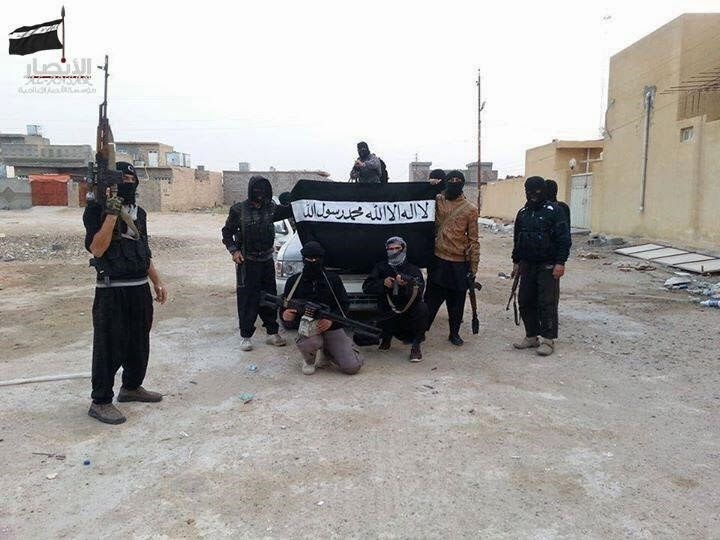 In the previous piece I noted how Jamaat Ansar al-Islam (JAI)- the main rivals of the Islamic State of Iraq and ash-Sham (ISIS) despite the common ideology- lacked a meaningful presence in Anbar province and was primarily based in the Mosul and Kirkuk areas. However, that is no longer true as clear evidence has emerged showing the JAI banner and fighters in the Fallujah area in particular, as can be seen below. Though these official photos date back to early April, some earlier unofficial photos from JAI social media circles exist claiming a presence in Anbar. 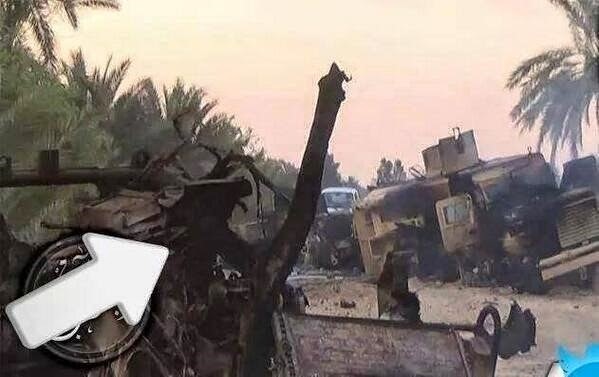 Concomitant with these new photos are some officially claimed operations in Anbar, such as a sniper attack on an Iraqi soldier in the al-Sijr area of Fallujah on 6th April, as well as an IED attack on the Iraqi army in the same place on 29th March. 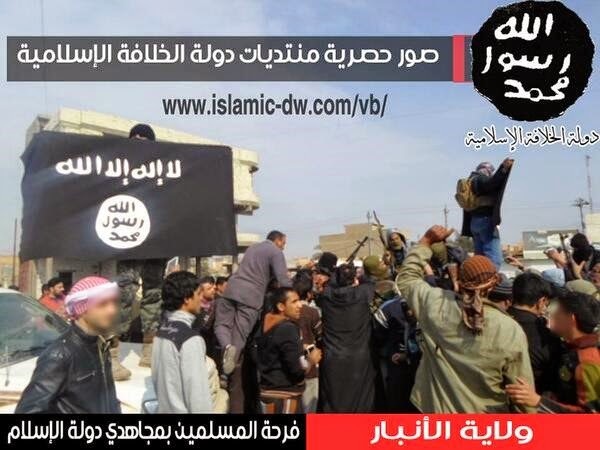 However, the frequency of such JAI operations in Anbar does not compare with JAI activities in Mosul or Kirkuk. Indeed, it seems most probable that in Anbar JAI has merely been taken up as a name and banner for fighters opposed to ISIS to rally around. 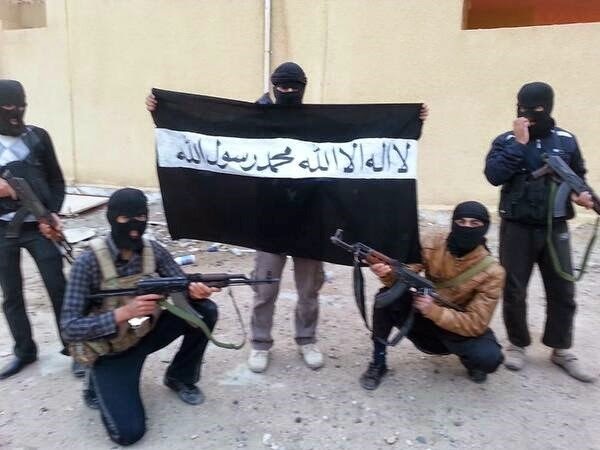 JAI fighters pose with a flag in early March, claimed to be in Anbar province. Though the exact area is not specified, it is most likely from the Fallujah area, which is the main stronghold for all insurgents in Anbar. 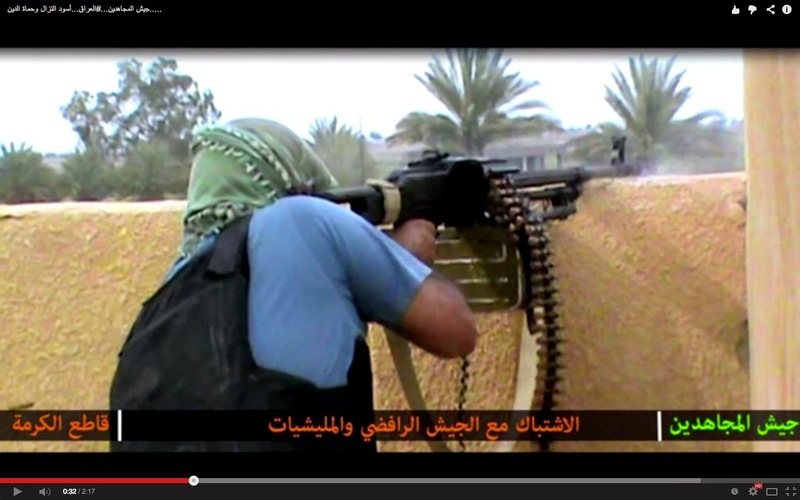 JAI fighters allegedly training in Anbar province, early March. As of now, tensions between JAI and ISIS remain unresolved. To summarize from my earlier work, the roots of the dispute are thus: ISIS members and supporters claim JAI is a criminal group that does not actually support the project of a Caliphate, while JAI counters that it is in favour of this project but regards ISIS’ claims to already be a state and its attempts to subjugate JAI under its wing as problematic. This is why JAI has always insisted on calling ISIS and its predecessor jamaat ad-dawla- “group of the state,” which is now standard from al-Qa’ida circles that had previously accepted the Islamic State of Iraq as a state entity. When I asked one JAI member- going by the name of Ibrahim al-Ansari- whether Iraqi press rumours of fighting between JAI and ISIS in Diyala province were true, specifically regarding a supposed JAI war declaration on ISIS northeast of Baquba, he affirmed: “In every place, not only Diyala.” Also in this context one should note Iraqi press reports of clashes between JAI and ISIS in the al-Rashad area of southwest Kirkuk province. Though there was an attempt by ISIS to bring about a ceasefire with JAI in late April, JAI stipulated that there should be a neutral Shari’a court acceptable to both parties to settle the disputes, but ISIS went back on any pledge to adhere to such conditions. It should be noted that this behavior exactly mirrors ISIS’ conduct in Syria, where it has similarly rejected all attempts at independent arbitration of its rivalries with other rebel groups (e.g. Sheikh Muheisseni’s Ummah Initiative). This relates to JAI’s fundamental complaint about ISIS: namely, the fact it already considers itself a state and therefore above other groups and not having to answer to third-party authority. In Syria, JAI has now become much more open about its presence, no longer calling itself the “Ansar ash-Sham” contingent. 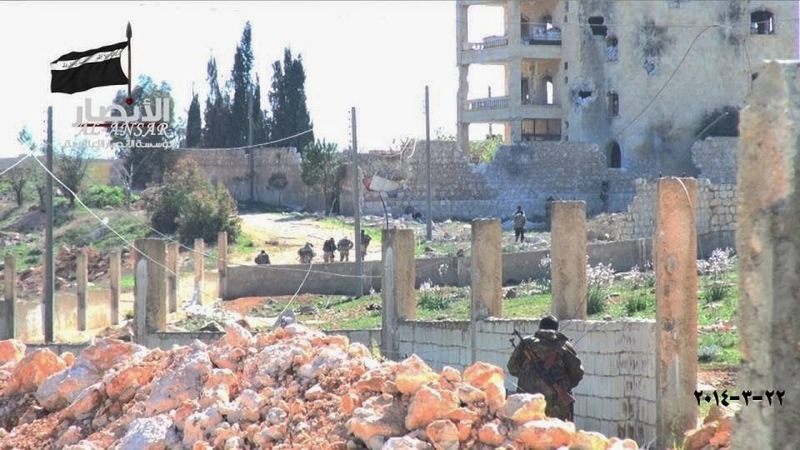 The group most notably played a role in the capture of Jabal Shwayhana and Kafr Hamra in Aleppo province in March in coordination with other rebels including Jabhat al-Nusra and the Islamic Front, with which JAI is closely aligned. There is also some limited fighting with Kurdish YPG forces. JAI in Kafr Hamra, 25th March. JAI in Jabal Shwayhana, 22nd March. 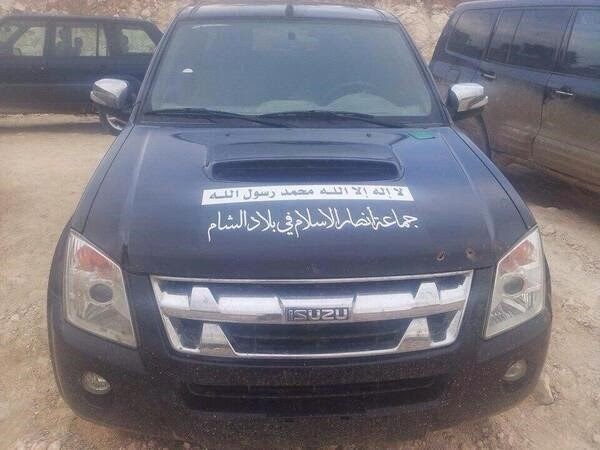 A Mistubishi vehicle owned by JAI in Syria. 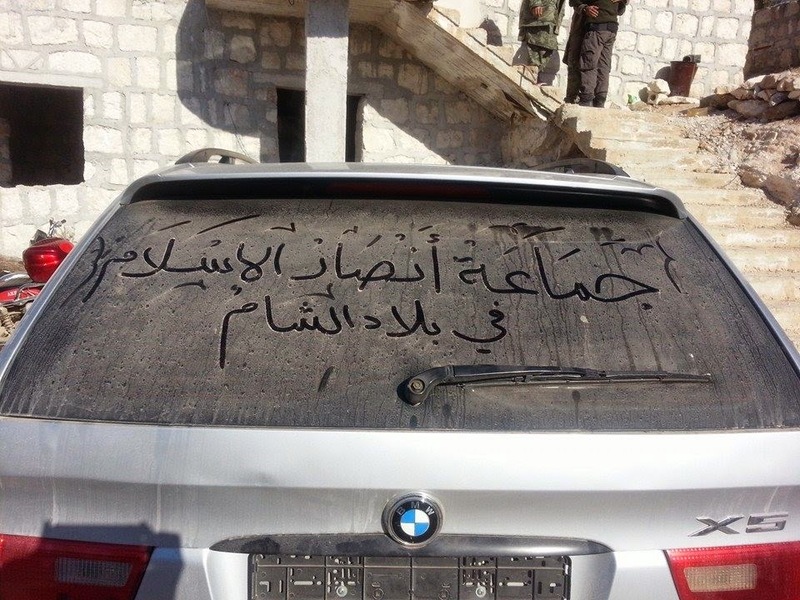 A BMW X5 owned by JAI in Syria. An Izuzu owned by JAI in Syria. 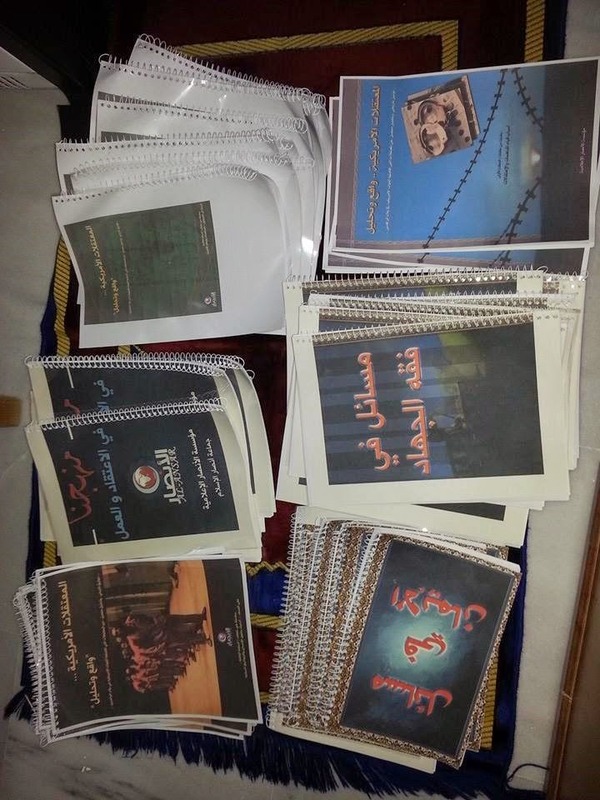 Da’wah material distributed by JAI in Syria. 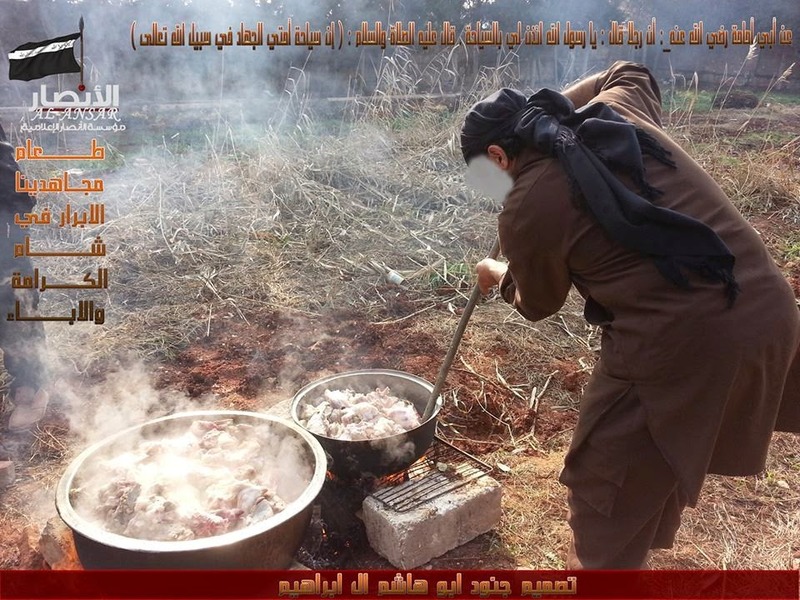 A JAI member in Syria prepares food. 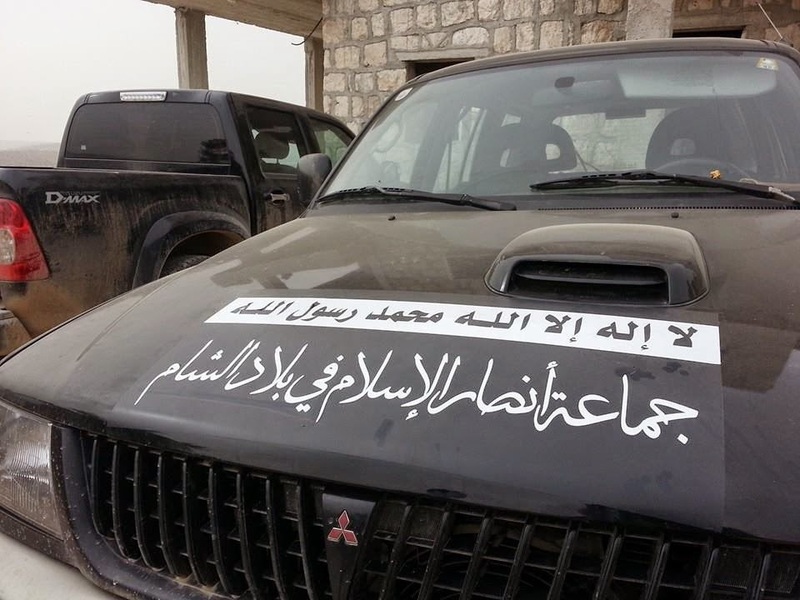 JAI in Syria also calls itself the “Soldiers of Abu Hashim Al Ibrahim,” in reference to the overall leader. Photo from early February. 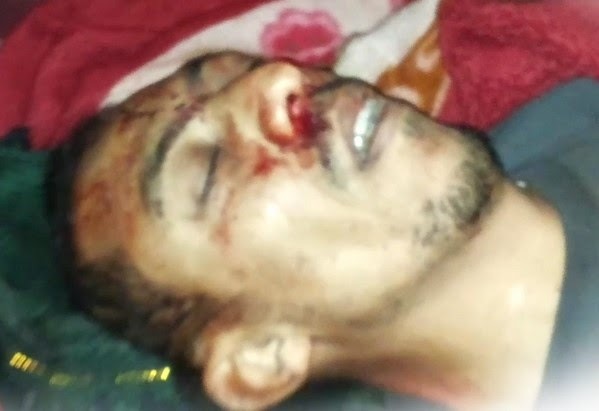 GRAPHIC - A “PKK” fighter beheaded by JAI in Syria. Photo from 30th April. In my previous analysis, I noted that there was a strong case that most of the various “Military Councils for the Revolutionaries of the Tribes” that were announced across the country should be viewed as front groups for the Ba’athist Naqshbandi Army (JRTN), evidence for which included the release of most of the declaration videos via JRTN’s activist wing Intifada Ahrar al-Iraq and the use of limited cross-sectarian messaging that is unique to JRTN among the Sunni insurgent groups (e.g. purportedly Shi’a tribal military councils) on account of the Ba’athist ideology. At the time, it was on the other hand possible to see the Anbar Military Council, which emerged before the other military councils, as its own independent grouping, as it appeared to place sole emphasis on notions of self-defense and seemed to have a social media output separate from Intifada Ahrar al-Iraq. I also argued that it was possible to view the General Military Council that emerged from the Anbar council in the same light. However, it has since become clear that the two entities are not distinct, and that the General Military Council is another front for JRTN. Now, there are no more separate Anbar Military Council videos, but instead they are released as part of General Military Council operations, and the political wing of the latter is widely advertised in Ba’athist/JRTN circles, such as on Ba’athist websites like DhiQar. Besides these points, one should further note that the General Military Council operates in areas where Naqshbandi influence has traditionally been strong, such as the Hawija area in Kirkuk province. Linked to this is the overlap with Ba’athist discourse here: whereas ISIS and JAI will refer to Kirkuk province by its current name, the General Military Council calls the area al-T’amim (not to be confused with my tribal name that is spread throughout Iraq), as was the case under Saddam Hussein. 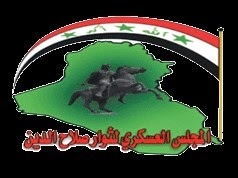 Logo of the General Political Council for the Revolutionaries of the Tribes, the political wing of the General Military Council. An example of a regional branch of the General Military Council” the Military Council for the Revolutionaries [of the Tribes] of Salah ad-Din. Sometimes the word “tribes” (asha’ir) is dropped from the title. In any case, the parallel logos are clear. It may be asked why JRTN operates numerous front-groups. The answer is that on its own, JRTN cannot appeal to a wide, potentially cross-sectarian support base, because it advocates a specific brand of Sunni Sufism (of the Naqshbandi variety) associated with Saddam’s right-hand man Izzat Ibrahim al-Douri. Appeal on the basis of Iraqi nationalist Ba’athism, which, while emphasizing discrimination against Sunnis by the “Safavid” government and supporting the Syrian rebellion, nonetheless can potentially outreach to Iraqis of all sects. In practice, of course, the number of Shi’a or Kurds supporting the JRTN or its front groups is no more than a token figure. 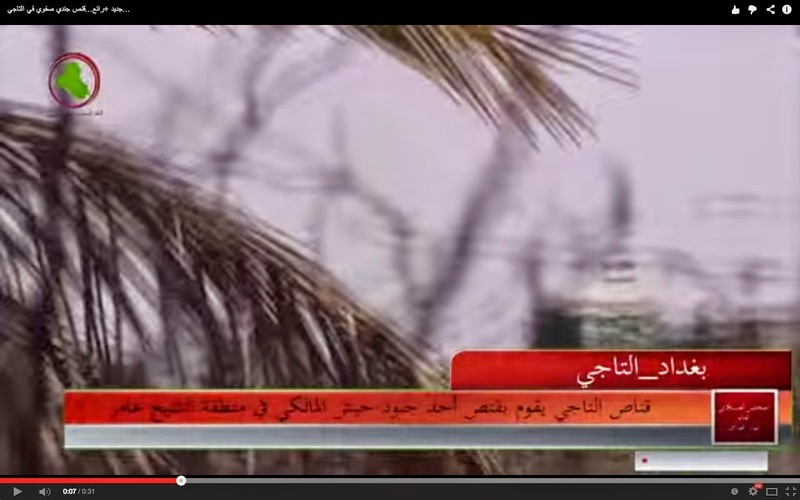 General Military Council video from Taji area in Baghdad, where it frequently conducts operations. Here, a sniper operation against an army soldier. 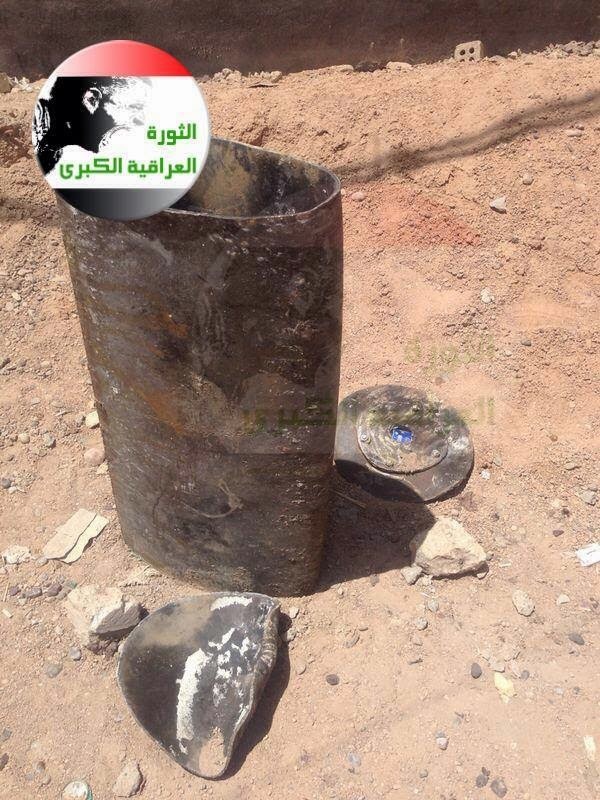 General Military Council targeting Iraqi army with three 82 mm mortar rounds in al-Karma, Anbar province. Video released 7th May. 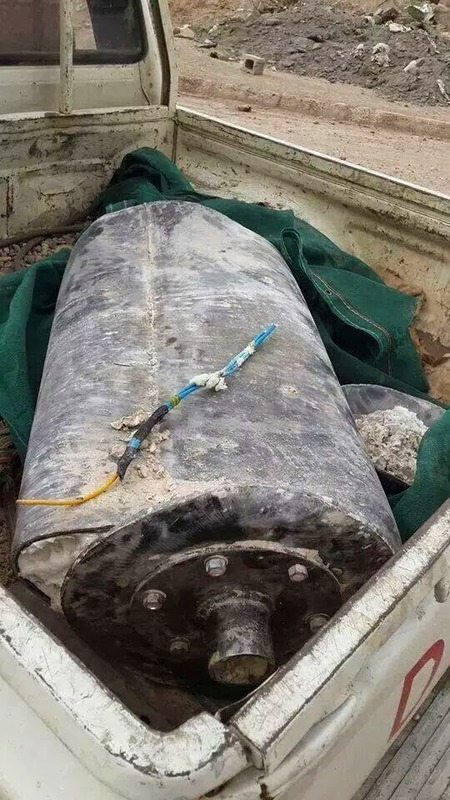 General Military Council targeting Iraqi army Hummer vehicle in al-Karma, Anbar province, with an IED. Video released 4th May. The statement went on to make a clear distinction between ISIS’ aims and that of the General Military Council, declaring: “The time for building the structure of the Islamic Caliphate on the program of the Prophets has begun and anyone who opposes this aim or stands in the way of this goal is an enemy to us.” This is the most explicit affirmation to date by ISIS in Iraq of ISIS’ ideological program, whereas in the past ISIS in Iraq has put far more emphasis on a public image of carrying out “revenge” attacks in protecting the country’s Sunnis from the “Safavid” government and its practices like ethnic cleansing, a grievance that resonates widely with the 2013 protest movement. To be sure, ISIS still stresses this image of protector of the Ahl al-Sunna in Iraq with statements claiming operations, and the lack of real strongholds in comparison with Syria means that you will not see ISIS billboards in Iraq proclaiming the building of a Caliphate. However, some other ISIS social media graphics from Iraq have emerged with the theme of establishing a Caliphate, and there is now emphasis on the global nature of the struggle with the advertisement of foreign fighter martyrdoms in Iraq, most of whom have entered into the country from Syria: a process that has been occurring since late last year. 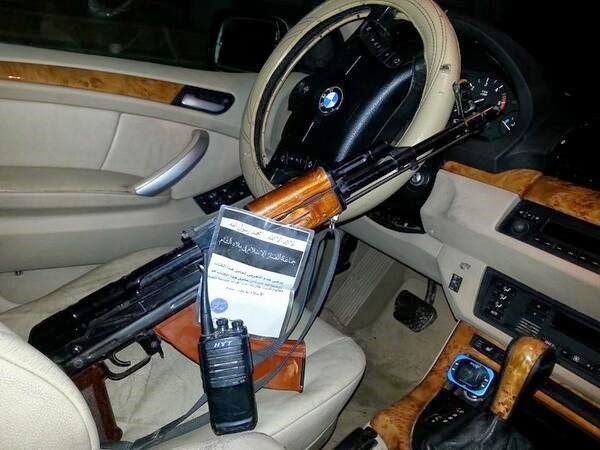 One of many foreign fighters advertised by ISIS to have conducted suicide operations in Iraq. 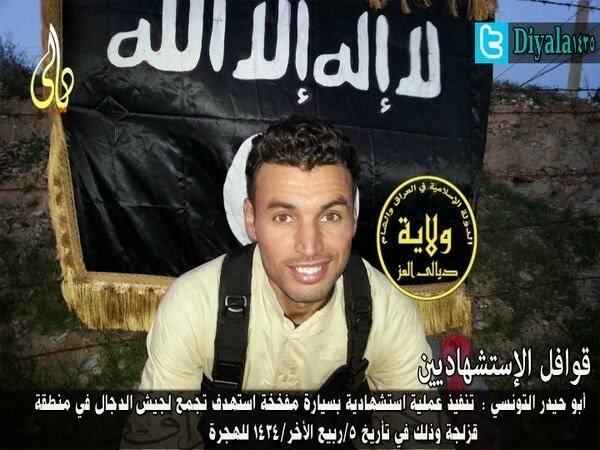 This individual is Abu Hayder the Tunisian, who carried out an attack on “Jaysh al-Dajjal” (a common ISIS-term for Mahdi Army militiamen- active or demobilized) in Diyala province on 5th February this year. 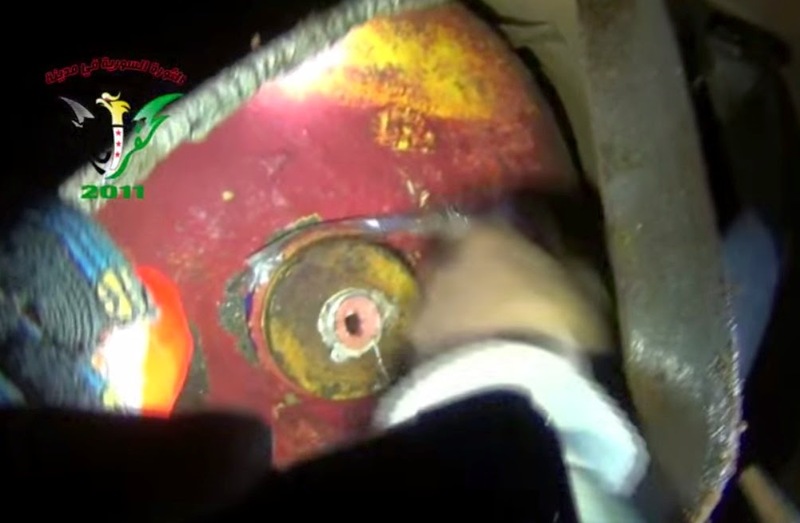 What of ISIS’ complaint about the General Military Council stealing credit for ISIS operations? It must be said that there is at least some truth to this allegation, for pro-Ba’athist and pro-nationalist insurgent social media pages have frequently taken photos and video footage of ISIS and tried to obscure any indications of ISIS symbols, portraying the operations as the work of fighters they support. 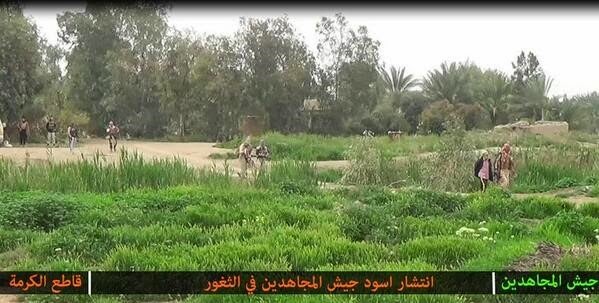 Photo of ISIS operations in Jurf al-Sakhr, Babil province. 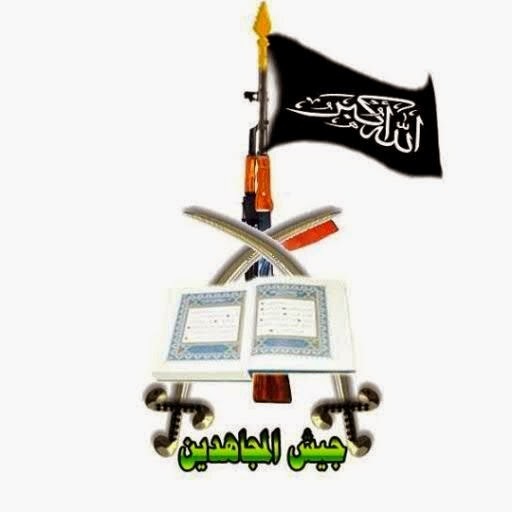 Note the ISIS logo for what ISIS calls “Wilayat al-Janub” (“Southern Province”- i.e. all points south of Baghdad) has been obscured. 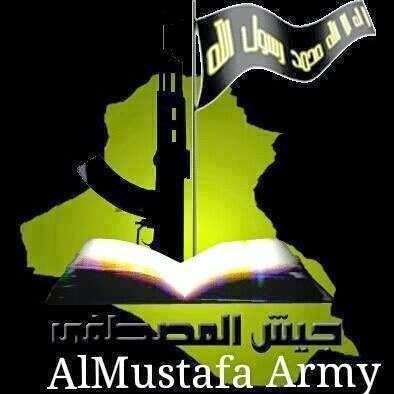 This came from a pro-Ba’athist insurgent page- “Al-Qadisiya’s Men Army”- on Facebook in April (now deleted). 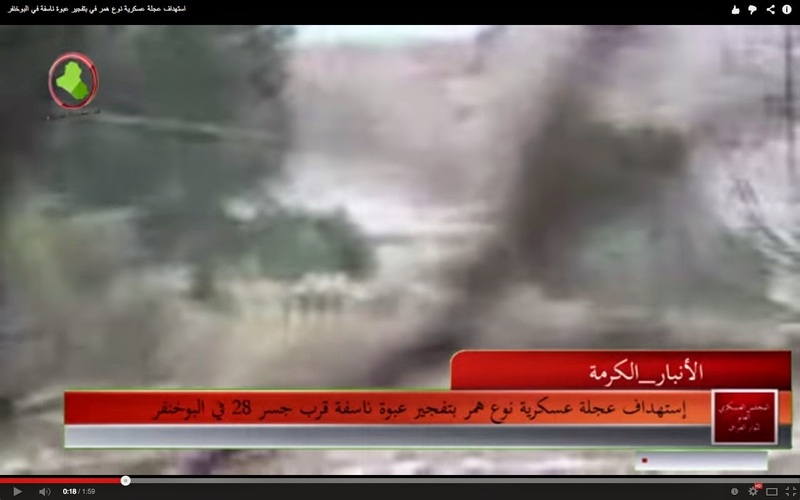 Screenshot from footage of an ISIS parade in Fallujah in April. However, the screenshot is such as to render it impossible to tell without knowledge of the original video that the group in question is ISIS. From a pro-Ba’athist/nationlist insurgent page- “Sons of the tribe of Zuba’”- in early April. Other signs of tension that have emerged more recently include a purported statement at the beginning of this month from the Fallujah Military Council (which jointly shares power with ISIS in the city, and appears to consist of a myriad of the other insurgent groups operating in the wider Fallujah area), urging ISIS (referred to as Jamaat ad-Dawla) to focus on fighting the common enemy rather than consolidating power at the expense of others, with accusations of theft of weapons. JRTN statement denying Iraqi press claims of issuing a fatwa to fight ISIS. It will be noted that nowhere does JRTN refer to ISIS by name. I have previously noted how the views of supporters of JRTN and its front groups are varied. Even if JRTN’s top leadership dislikes ISIS at heart, it is apparent they are afraid to confront ISIS openly for the moment. 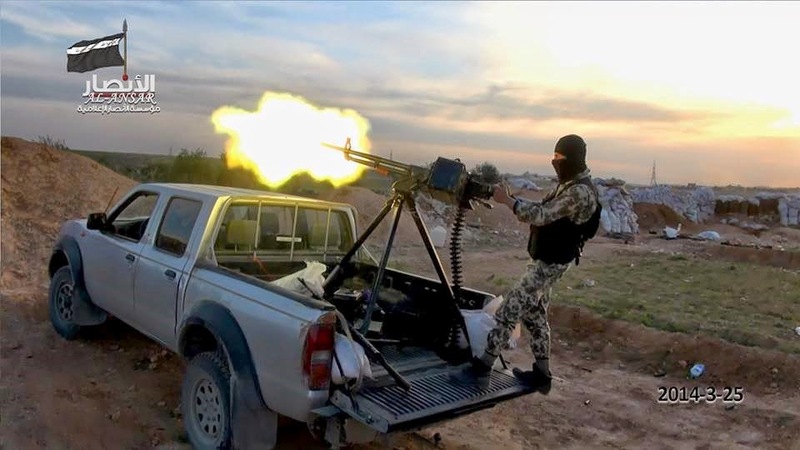 The Jaysh al-Mujahideen faction in Iraq is one of the older insurgent groups and has a nationalist-Islamist outlook. 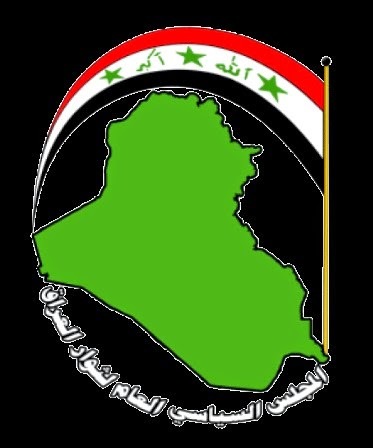 Unlike the Islamic Army of Iraq (with which Jaysh al-Mujahideen is at odds), the group has always rejected integration into the political process and believes in the complete overthrow of the government, whereas the Islamic Army of Iraq has an activist wing in the “Sunni Popular Movement” and believes in the formation of a Sunni federal region. More recently Jaysh al-Mujahideen is advertising itself more openly on social media, both with photos of operating on-the-ground and martyrdom announcements. 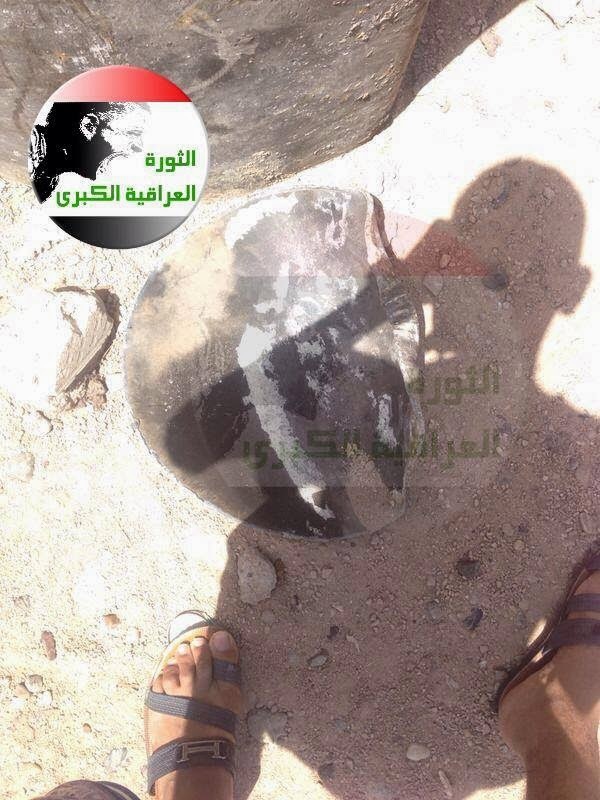 That said, the material is confined to one area: namely, al-Karma in Anbar province (near Fallujah). Announcements of operations elsewhere (e.g. 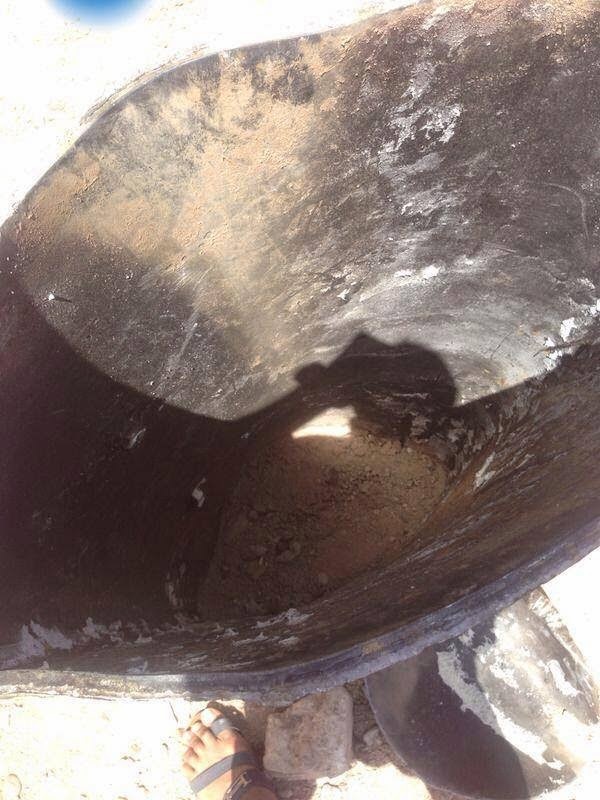 in the area between Tikrit and Kirkuk) remain written claims. 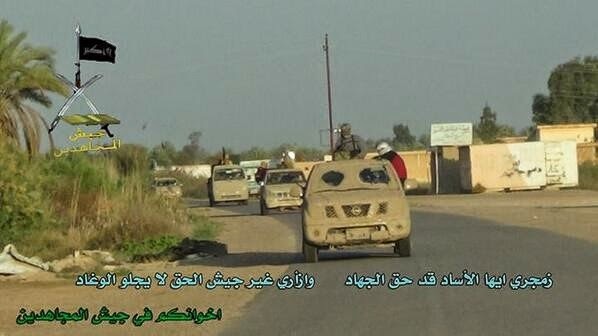 Jaysh al-Mujahideen convoy in al-Karma, Anbar province. Photo from late April. 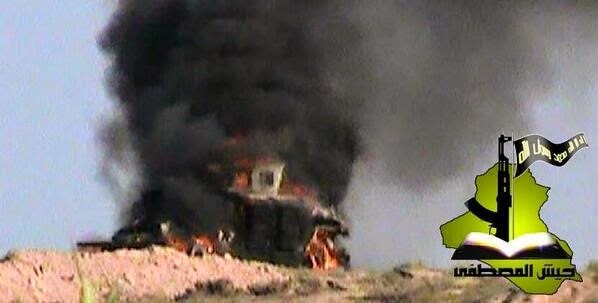 Jaysh al-Mujahideen targeting an army Hummer in al-Karma. 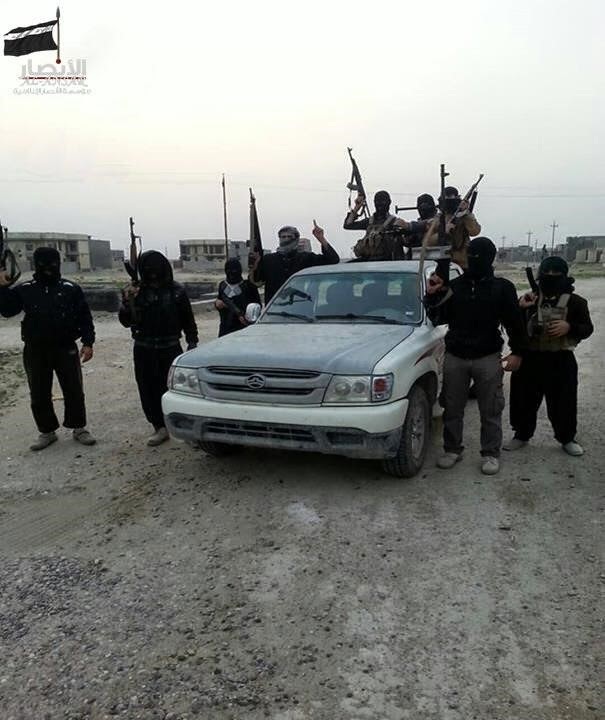 Jaysh al-Mujahideen fighters in al-Karma, from mid-April. 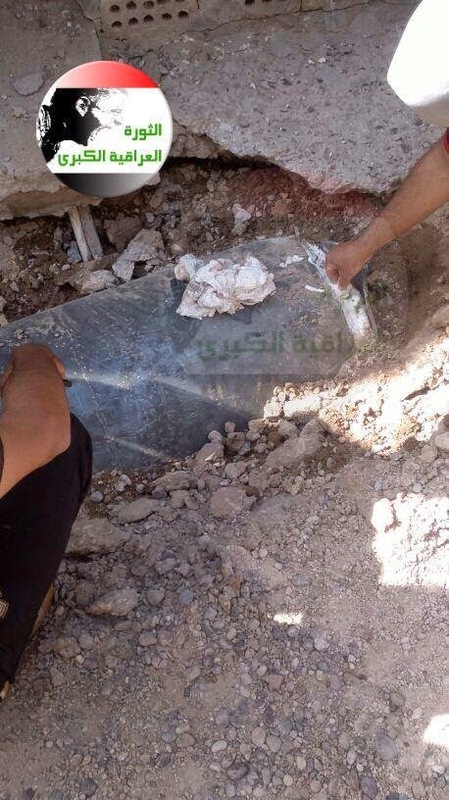 Abu Marwan al-Fahdawi, a Jaysh al-Mujahideen commander killed in al-Karma. Death announced on 9th May. His name indicates he is a native. 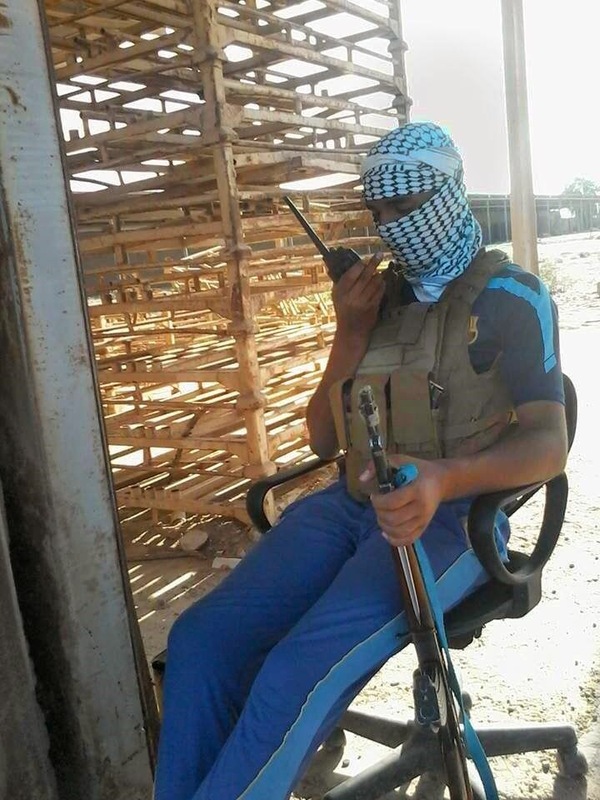 Unofficial photo of Jaysh al-Mujahideen member on his walkie-talkie. The Jaysh al-Mujahideen, whose approach emphasizes cooperation with the local tribes, has traditionally had problems with ISIS. The most recent claims of tensions focus on the al-Karma area. 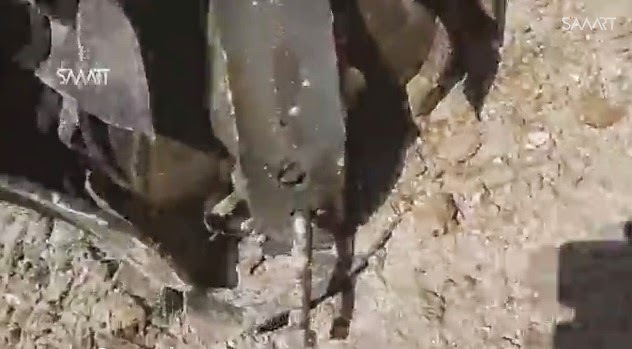 Specifically, it is alleged that the local tribes with Jaysh al-Mujahideen in the vanguard played the main role in freeing the area from government control, while ISIS arrived later on the scene and focused on building up a presence with acquiring new bases while other factions were focused on fighting government assaults. ISIS is then alleged to have stopped the entry of petrol, gas and other basic commodities into the area, so that people would be forced to buy such things from ISIS. If this situation outlined be the case, then it has a parallel with the case of the Fallujah-area dam that was initially seized by JRTN fighters in January but was subsequently taken over by ISIS alone (H/T: Kirk Sowell). 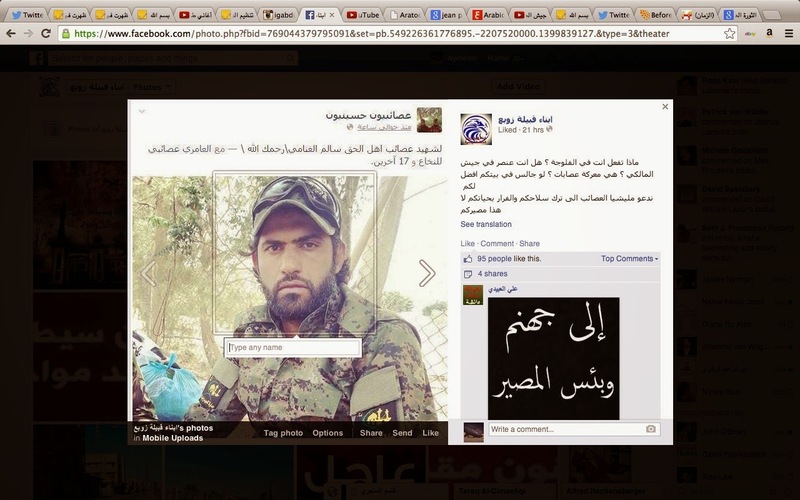 In mid-April on Facebook there emerged pages for a Jaysh al-Mustafa, claiming allegiance to ISIS and operations in a variety of areas including Anbar and Diyala provinces. 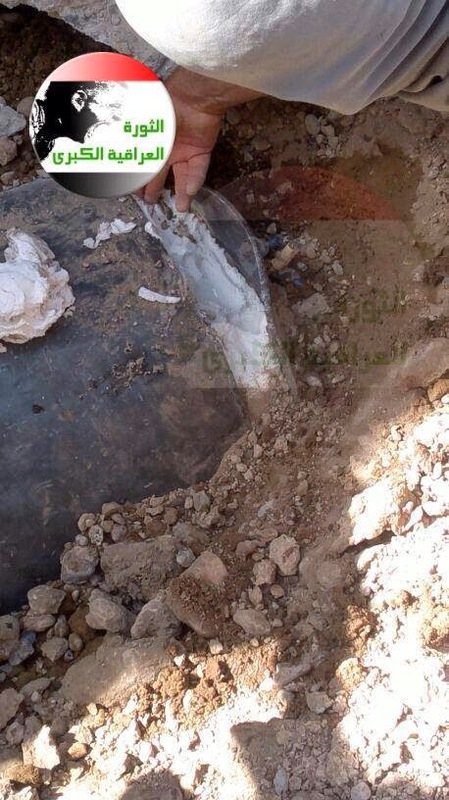 However, it will be immediately noticed that at least one of the photos put out under this label is a rip-off from another group (namely, the Jaysh al-Mujahideen). 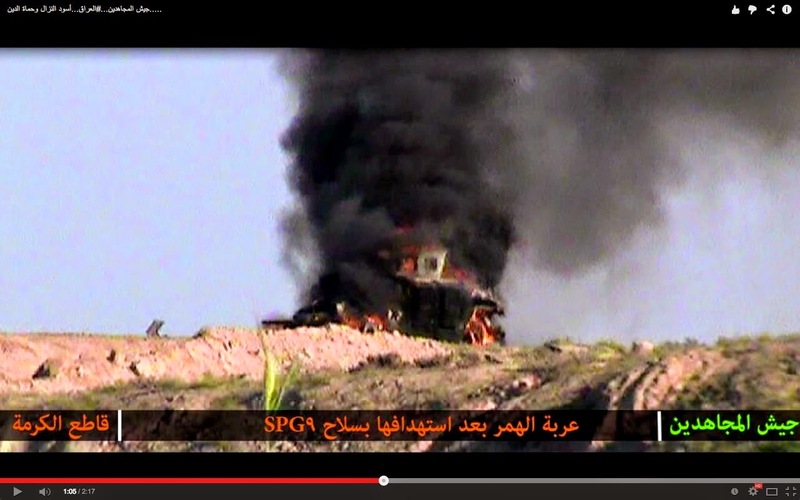 Claimed destruction of an army Hummer on the Ramadi highway area. 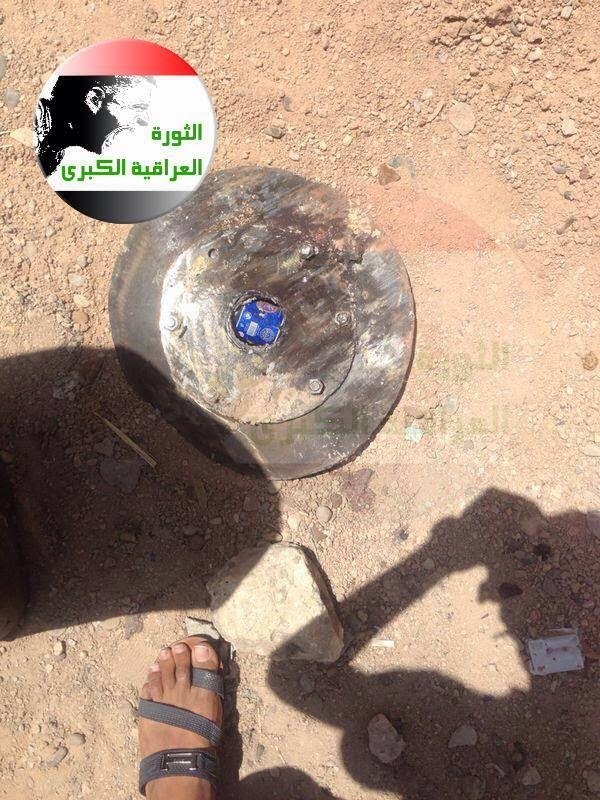 The photo is identical with a Jaysh al-Mujahideen photo from al-Karma given above. 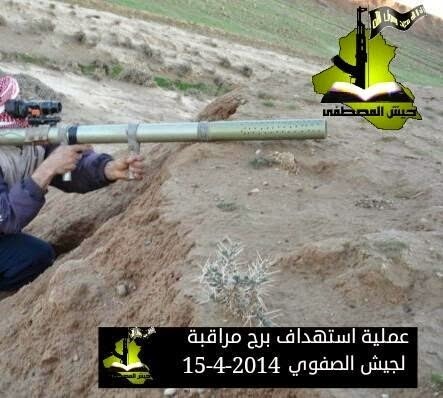 A purported Jaysh al-Mustafa fighter targeting an army watch tower on 15th April. - JRTN and its front-groups. With the exception of the Islamic Army of Iraq, all these groups are revolutionary in their aims in that they at least seek to overthrow the central government. The Jaysh al-Izza wa al-Karama may be an exception too, though the evidence points to its being a mere banner around which some insurgents can gather, rather than having a real command structure. The most important in terms of manpower, financial resources (primarily through extortion in Ninawa province, expanded recently in Salah ad-Din province), and deadliness remains ISIS. 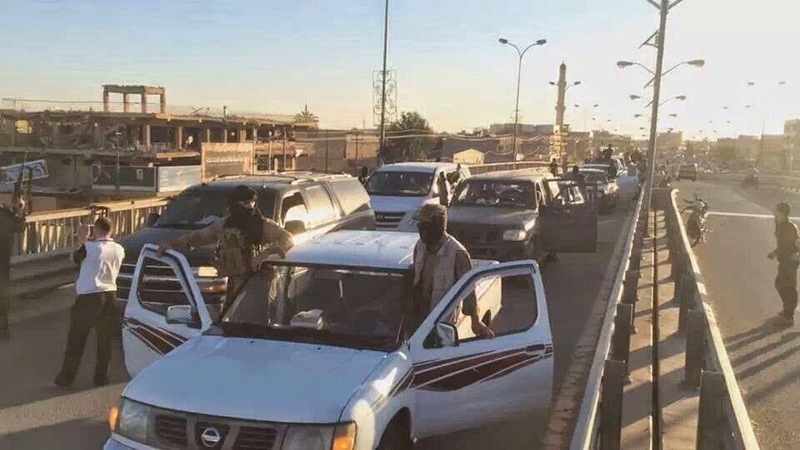 It is the only group capable of carrying out major operations south of Baghdad, can carry out coordinated bomb attacks to cause mass civilian casualties in one go, and has the most capability to launch incursions and offensives into new territory. 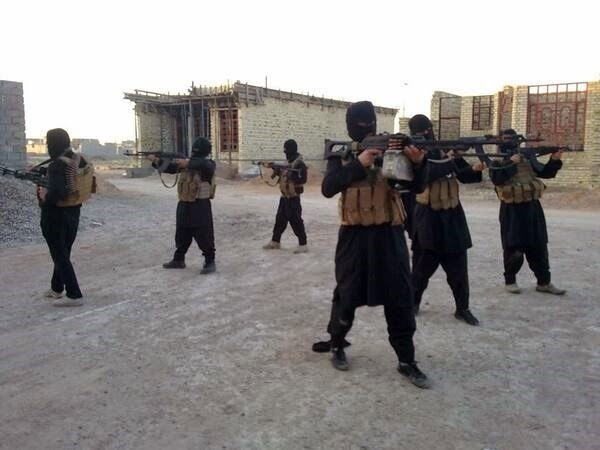 Statistically, ISIS can now carry out well over 1000 operations a month. The other groups simply do not compare in this regard, and are primarily limited to carrying out gunfights, IED and mortar attacks. ISIS operations by province for the period 2nd January-1st February 2014. 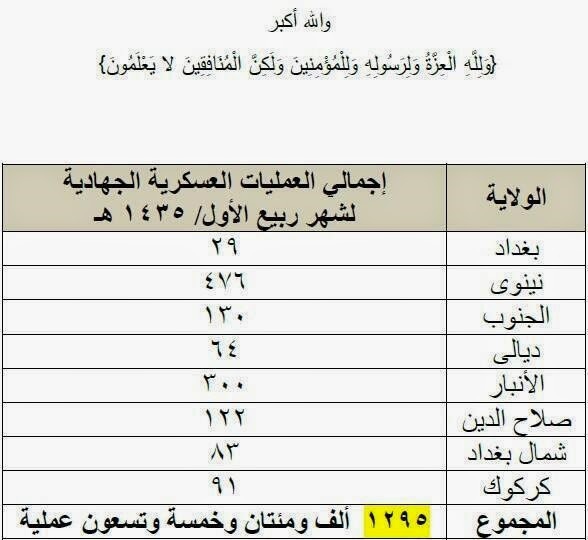 The total amounts to 1295 operations, with the most numerous (as expected) in Ninawa province, at 476 operations. Anbar follows second with some 300 operations. As I expected, total casualties per month are roughly at 1000 deaths or so per month. Meanwhile, whatever tensions exist between the different insurgent groups have not been sufficient to disrupt ISIS’ operations in Iraq. Talk of al-Qa’ida’s impending revival in Iraq as a potential challenge to ISIS is so far unsubstantiated, despite Jabhat al-Nusra leader Jowlani’s boasts of being able to call up new members from Iraq to aid his cause. Some have pointed to Jabhat al-Murabiteen as a possible front-group for a new al-Qa’ida in Iraq, but there is no convincing evidence for this claim. What of the future? There is little cause for optimism. The Iraqi army has great difficulty in dealing with the overall insurgency’s guerrilla tactics, and is generally ineffective at winning local cooperation in areas where insurgents operate, engaging in tactics like mass arrests that only fuel a “serves them right attitude” from residents. Problematic also is the government’s reliance to a certain extent on Iranian-backed Shi’a militias, particularly Asa’ib Ahl al-Haq, which has already made its fighting in Anbar clear with the recent announcement of a martyrdom for the group. 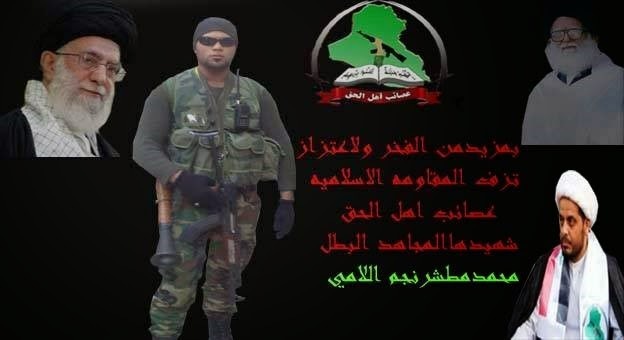 Graphic dedicated to Asa’ib Ahl al-Haq fighter Muhammad al-Lami, killed in Anbar on 7th May. Video of his funeral here. 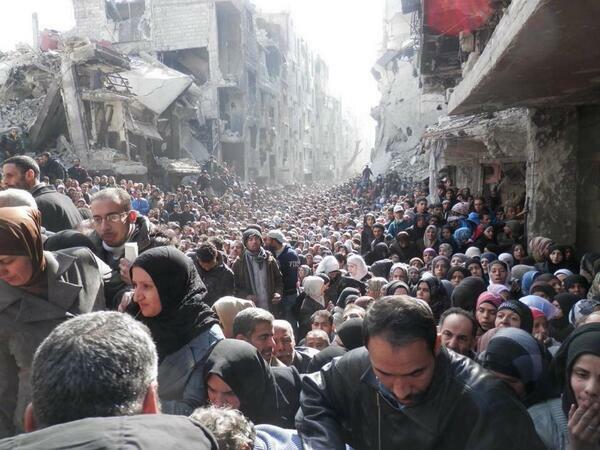 Supporters of Asa’ib Ahl al-Haq are not shy from reveling in scenes of brutality. 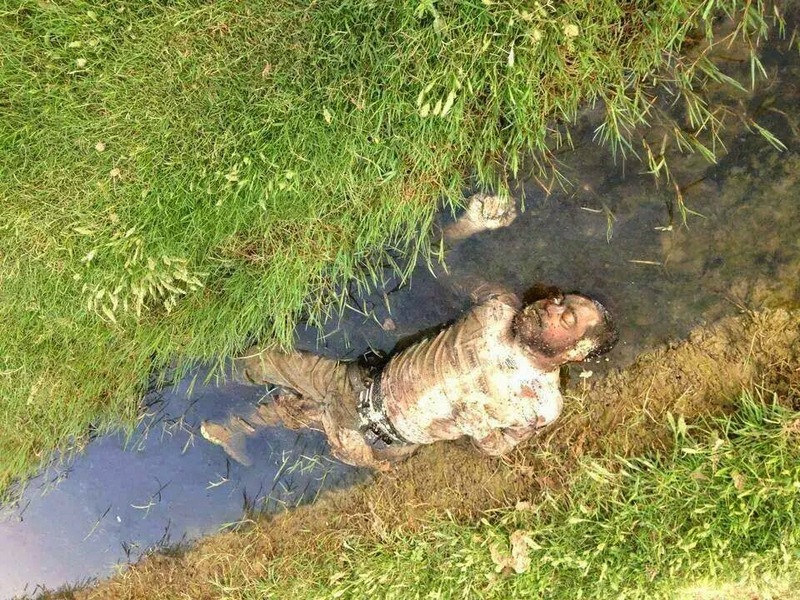 This is supposedly the corpse of a slain member of ISIS circulated in some social media circles. It should be emphasized that this development does not mean Asa’ib Ahl al-Haq only started fighting in Anbar this month. Credible claims of involvement in Anbar actually go back to the beginning in January, with rumours in Iraqi press circles of members returning from Syria in small numbers to help the government to combat the growing insurgency dating back to at least December of last year. In any event, the group has already been active in the ethnically mixed Diyala province throughout much of last year, as I documented here, partly helping to fuel ISIS’ support base that culminated in the brief takeover of the Buhriz area south of Baquba in late March. The government then retook the area partly relying on Shi’a militiamen, with summary executions following. 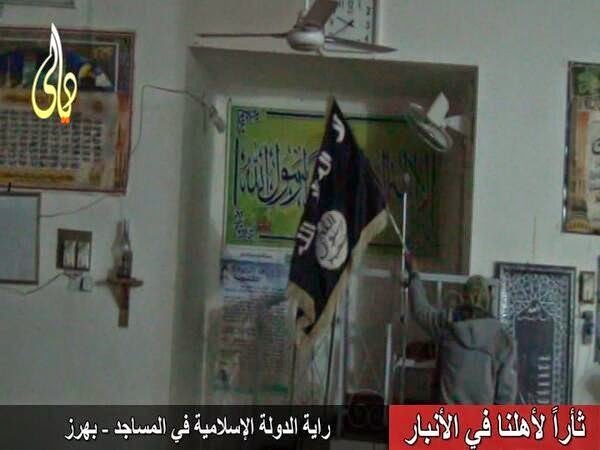 "Revenge for our people in Anbar”: the brief ISIS takeover of Buhriz that included hoisting the ISIS flag in local mosques. In my view, Diyala and the Baghdad belt areas, where risks of ethnic cleansing are highest, are the main places to watch regarding Shi’a militias and the overall insurgency. 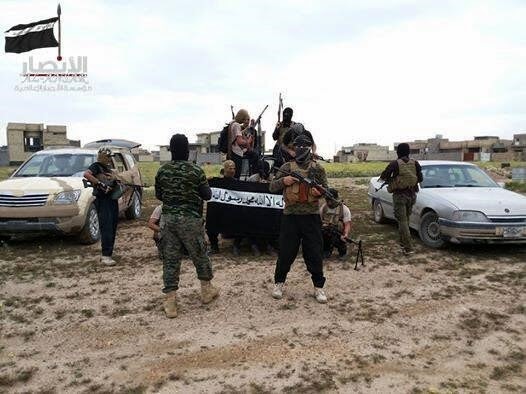 For Anbar, the involvement seems to be comparatively minor, with Asa’ib Ahl al-Haq supporters I have spoken to estimating that only a few fighters from the group have been killed in Anbar. There are also some clear cases of pro-insurgent Sunni social media circles misrepresenting Shi’a militia fighters who were killed in Syria as fighters slain in Iraq (H/T: Phillip Smyth). 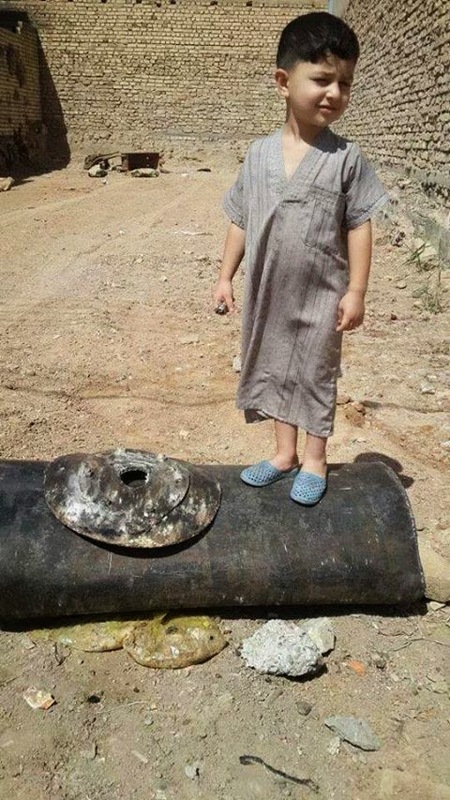 The pro-insurgent Facebook page from Zuba’ tags this photo thus: “What are you doing in Fallujah? Are you a member of Maliki’s army?” The person in question is one Asa’ib Ahl al-Haq member Salim al-Ghanami, who was actually killed in Syria (cf. this video). Even so, the overall picture is bleak and looks set to continue for years to come. While military force is undoubtedly part of the solution to dealing with the revived insurgency, reliance on Shi’a militias only perpetuates the problem. A political outreach program, beginning with reforms to de-Ba’athification as proposed last year, as well as reforms to security practices is the way forward.